Children with ADD/ADHD generally have deficits in executive function: the ability to think and plan ahead, organize, control impulses, and complete tasks. That means you need to take over as the executive, providing extra guidance while your child gradually acquires executive skills of his or her own. Although the symptoms of ADD/ADHD can be nothing short of exasperating, it�s important to remember that the child with ADD/ADHD who is ignoring, annoying, or embarrassing you is not acting willfully. Kids with attention deficit disorder want to sit quietly; they want to make their rooms tidy and organized; they want to do everything their parent says to do�but they don�t know how to make these things happen. Having ADD/ADHD can be just as frustrating as dealing with someone who has it. If you keep this in mind, it will be a lot easier to respond to your child in positive, supportive ways. With patience, compassion, and plenty of support, you can manage childhood attention deficit disorder while enjoying a stable, happy home. As a parent, you set the stage for your child�s emotional and physical health. You have control over many of the factors that can positively influence the symptoms of your child�s disorder. Your best assets for helping your child meet the challenges of ADD/ADHD are your positive attitude and common sense. When you are calm and focused, you are more likely to be able to connect with your child, helping him or her to be calm and focused as well. Remember that your child�s behavior is related to a disorder. Most of the time it is not intentional. Hold on to your sense of humor. What�s embarrassing today may be a funny family story ten years from now. Don�t sweat the small stuff and be willing to make some compromises. One chore left undone isn�t a big deal when your child has completed two others plus the day�s homework. If you are a perfectionist, you will not only be constantly dissatisfied but also create impossible expectations for your ADD/ADHD child. Think about or make a written list of everything that is positive, valuable, and unique about your child. Trust that your child can learn, change, mature, and succeed. Make thinking about this trust a daily task as you brush your teeth or make your coffee. As your child�s role model and most important source of strength, it is vital that you live healthfully. If you are overtired or have simply run out of patience, you risk losing sight of the structure and support you have so carefully set up for your child with attention deficit disorder. Eat right, exercise, and find ways to reduce stress, whether it means taking a nightly bath or practicing morning meditation. If you do get sick, acknowledge it and get help. One of the most important things to remember in rearing a child with ADD/ADHD is that you don�t have to do it alone. Talk to your child�s doctors, therapists, and teachers. 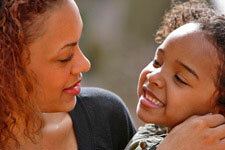 Join an organized support group for parents of children with ADHD. These groups offer a forum for giving and receiving advice, and provide a safe place to vent feelings and share experiences. Friends and family can be wonderful about offering to babysit, but you may feel guilty about leaving your child, or leaving the volunteer with a child with ADD/ADHD. Next time, accept their offer and discuss honestly how best to handle your child. It is important to set a time and a place for everything to help the child with ADD/ADHD understand and meet expectations. Establish simple and predictable rituals for meals, homework, play, and bed. Have your child lay out clothes for the next morning before going to bed, and make sure whatever he or she needs to take to school is in a special place, ready to grab. Consider placing clocks throughout the house, with a big one in your child�s bedroom. Allow enough time for what your child needs to do, such as homework or getting ready in the morning. Use a timer for homework or transitional times, such between finishing up play and getting ready for bed. It is good to avoid idle time, but a child with ADHD may become more distracted and �wound up� if there are many after-school activities. You may need to make adjustments to the child�s after-school commitments based on the individual child�s abilities and the demands of particular activities. Make sure your child has a quiet, private space of his or her own. A porch or bedroom can work well too, as long as it�s not the same place as the child goes for a time-out. Do your best to be neat and organized. Avoid problems by keeping kids with attention deficit disorder busy! For kids with ADD/ADHD, idle time may exacerbate their symptoms and create chaos in your home. It is important to keep a child with ADD/ADHD busy without piling on so many that the child becomes overwhelmed. Sign your child up for a sport, art class, or music. At home, organize simple activities that fill up your child�s time. These can be tasks like helping you cook, playing a board game with a sibling, or drawing a picture. Try not to use the television or computer/video games as time-fillers. Unfortunately, TV and video games are increasingly violent in nature and may only increase your child�s symptoms of ADD/ADHD. Children with ADD/ADHD respond particularly well to organized systems of rewards and consequences. It's important to explain what will happen when the rules are obeyed and when they are broken. Finally, stick to your system: follow through each and every time with a reward or a consequence. As you establish these consistent structures, keep in mind that children with ADHD often receive criticism. Be on the lookout for good behavior�and praise it. Praise is especially important for children who have ADD/ADHD because they typically get so little of it. These children receive correction, remediation, and complaints about their behavior�but little positive reinforcement. A smile, positive comment, or other reward from you can improve the attention, concentration and impulse control of your child with ADD/ADHD. Do your best to focus on giving positive praise for appropriate behavior and task completion, while giving as few negative responses as possible to inappropriate behavior or poor task performance. Reward your child for small achievements that you might take for granted in another child. Change rewards frequently. Kids with ADD/ADHD get bored if the reward is always the same. 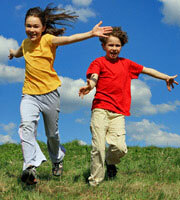 Children with ADD/ADHD often have energy to burn. Organized sports and other physical activities can help them get their energy out in healthy ways and focus their attention on specific movements and skills. The benefits of physical activity are endless: it improves concentration, decreases depression and anxiety, and promotes brain growth. Most importantly for children with attention deficits, however, is the fact that exercise leads to better sleep, which in turn can also reduce the symptoms of ADD/ADHD. Find a sport that your child will enjoy and that suits his or her strengths. For example, sports such as softball that involve a lot of �down time� are not the best fit for children with attention problems. Individual or team sports like basketball and hockey that require constant motion are better options. Children with ADD/ADHD may also benefit from martial arts training, tae kwon do, or yoga, which enhance mental control as they work out the body. Insufficient sleep can make anyone less attentive, but it can be highly detrimental for children with attention deficit disorder. Kids with ADD/ADHD n eed at least as much sleep as their unaffected peers, but tend not to get what they need. Their attention problems can lead to overstimulation and trouble falling asleep. A consistent, early bedtime is the most helpful strategy to combat this problem, but it may not completely solve it. 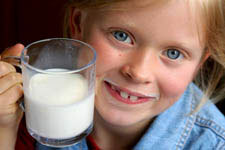 Eliminate caffeine from your child�s diet. Cola drinks and chocolate have significant caffeine. Research shows that children with ADD/ADHD benefit from spending time in nature. Kids experience a greater reduction of symptoms of ADD/ADHD when they play in a park full of grass and trees than on a concrete playground. Take note of this promising and simple approach to managing ADD/ADHD. Even in cities, most families have access to parks and other natural settings. Join your children in this �green time��you�ll also get a much-deserved breath of fresh air for yourself. Diet is not a direct cause of ADHD, but food can and does affect your child's mental state, which in turn seems to affect behavior. Monitoring and modifying what, when, and how much your child eats can help decrease the symptoms of ADD/ADHD. All children benefit from fresh foods, regular meal times, and staying away from junk food. These tenets are especially true for children with ADD/ADHD, whose impulsiveness and distractedness can lead to missed meals, disordered eating, and overeating. Children with ADD/ADHD are notorious for not eating regularly. Without parental guidance, these children might not eat for hours and then binge on whatever is around. The result of this pattern can be devastating to the child�s physical and emotional health. Prevent this pattern by scheduling regular healthy meals or snacks for your child no more than three hours apart. Physically, the child with ADD/ADHD needs a regular intake of healthy food; mentally, meal times are a necessary break and a scheduled rhythm to the day. Whether or not your child has ADD/ADHD, he or she will benefit from eating a nutritious diet. Most children eat far too many unhealthy foods�from burgers and fries to ice cream and soft drinks. Few get the vitamins, minerals, and fiber, they need. It is important to your child�s current and future health to eat a healthful diet, and that may mean that you need to improve your own diet to set a good example. Children with attention deficit disorder often have difficulty with simple social interactions. They may struggle with reading social cues, talk too much, interrupt frequently, or come off as aggressive or �too intense.� Their relative emotional immaturity can make them stand out among children their own age, and make them targets for unfriendly teasing. Keep in mind that many kids with ADHD are exceptionally intelligent and creative and will eventually figure out for themselves how to get along with others and spot people who aren�t appropriate as friends. Moreover, personality traits that might exasperate parents and teachers may come across to some people as quirky and charming. It's hard for children with ADHD to learn social skills and social rules. You can help your child with ADD/ADHD become a better listener, learn to read people�s faces and body language, and interact more smoothly in groups. Invite only one or two friends at a time at first. Watch them closely while they play. Have a zero tolerance policy for hitting, pushing and yelling in your house or yard.